Post is a desktop application for security officers, increasing their efficiency and accountability. 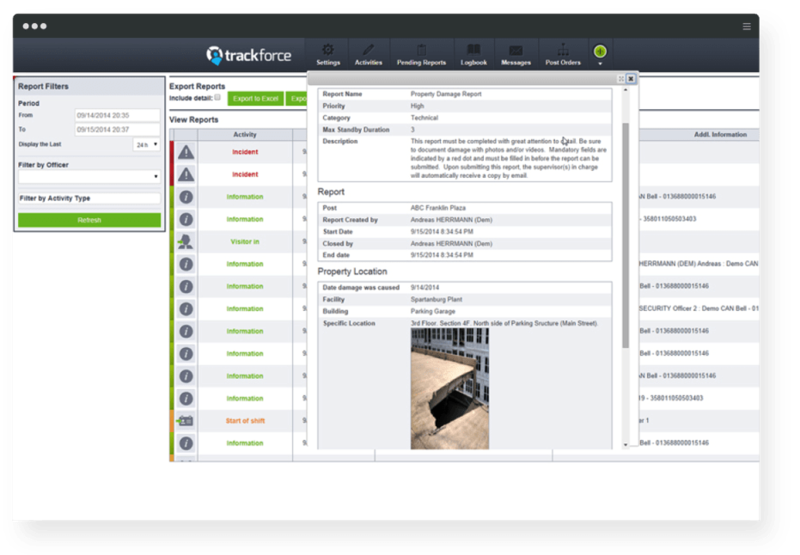 “Since we introduced Trackforce to our security operation, it has proven itself as an invaluable tool in managing our security personnel efficiently"
Equip your officers with easy-to-use technology to stay on top of security tasks ensuring that people and assets are always protected. 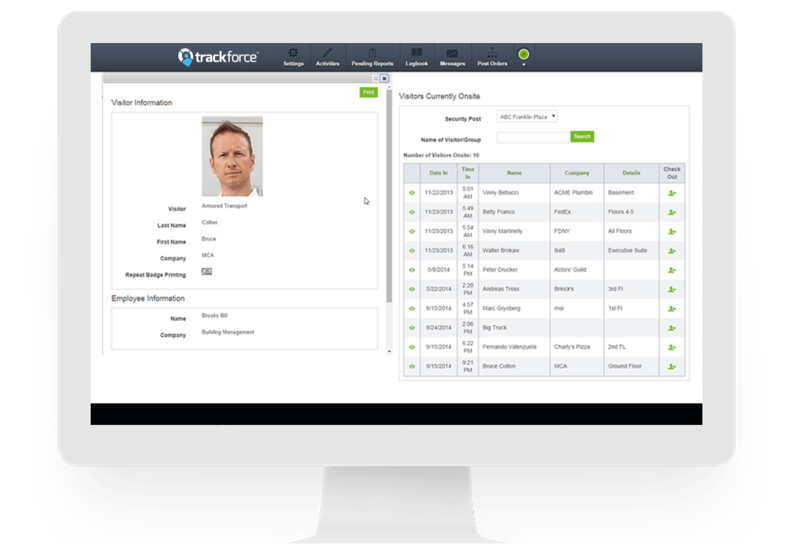 Post provides officer accountability, improves operational efficiency and enables better communication between officers, operations, and corporate security management. Whether officers are stationed at a checkpoint, lobby, or entryway, Post simplifies the way they manage visitors, reports, incidents, and activities, saving time and resources. 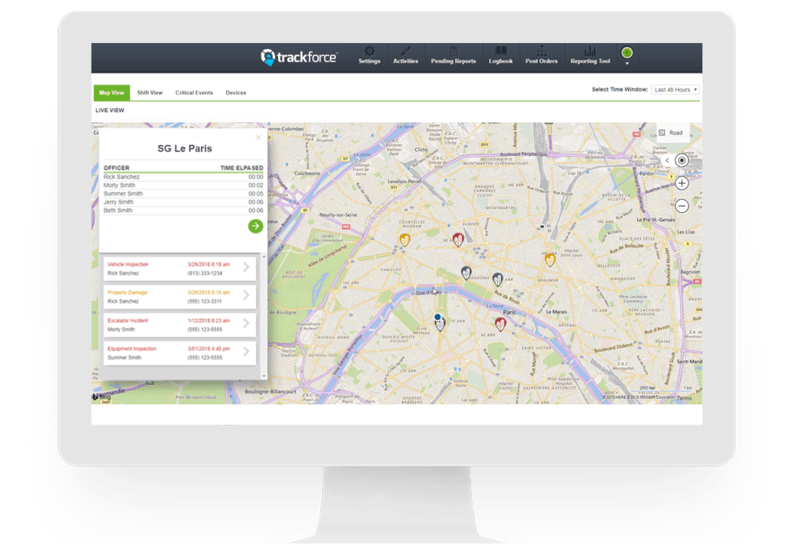 Post makes it easy for officers to complete incident and activity reports in real time with predefined templates using a web browser. Officers can access all their tasks and post orders in a web browser making it simple for them to successfully complete all their assignments. Hard-working officers are recognized as their performance is measured in real time encouraging them to do even more. 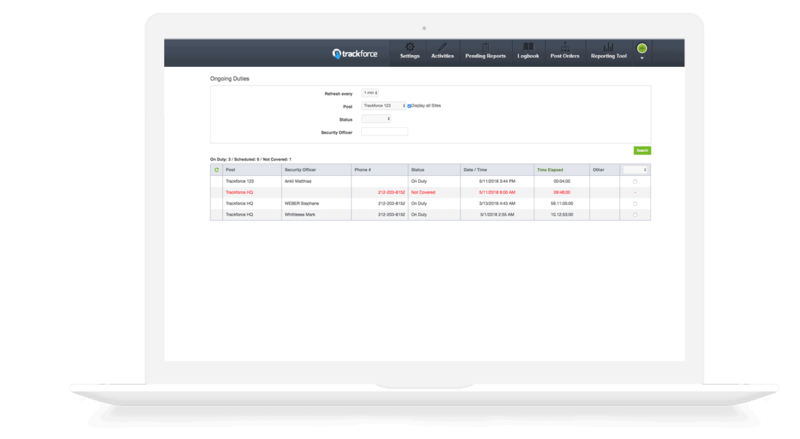 Post enables operations managers to improve efficiency and manage more sites while maintaining a high standard of service. Post increases officer productivity by over 30% giving you the opportunity to grow your business, not your headcount. 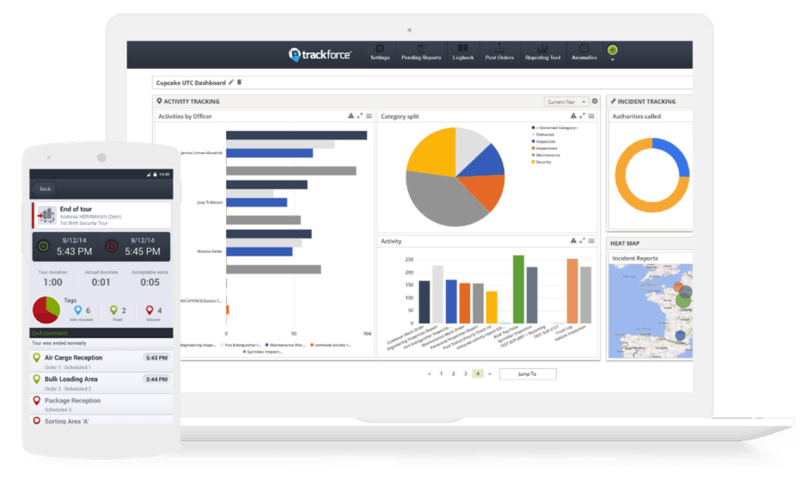 Always know what your officers are doing and validate KPIs in real time so you can recognize and incentivize high performers. 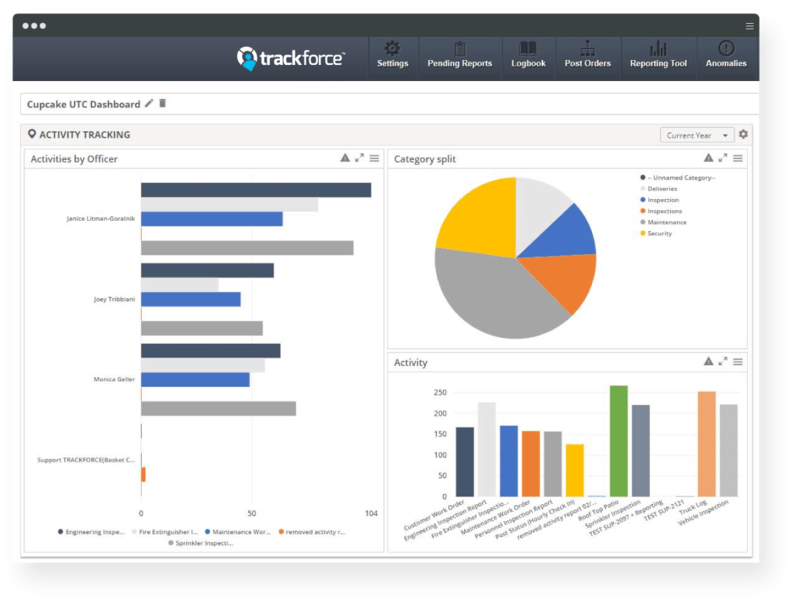 Trackforce provides a client dashboard encouraging security companies to share metrics with their clients as well as receive updates and alerts in real time. 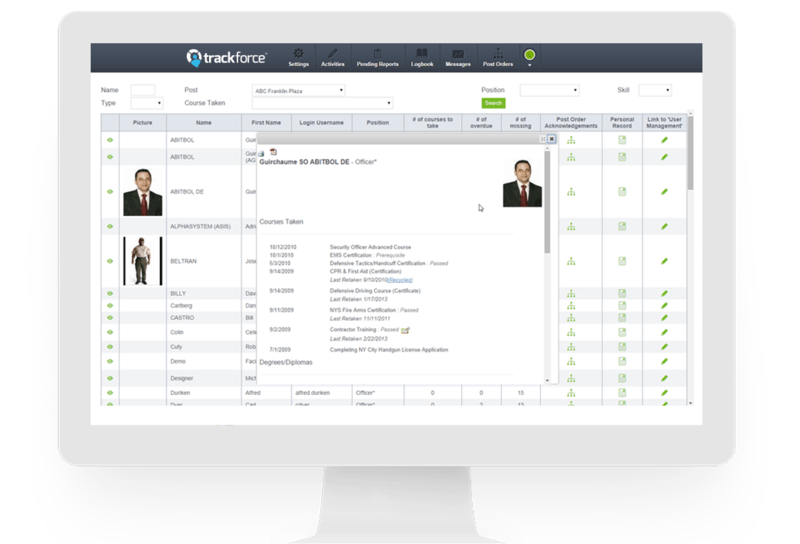 One solution across all sites (even internationally) simplifies proper benchmarking and facilitates reporting to the executive management. Post comes fully functional right out of the box empowering security guards to stay on top of their duties. 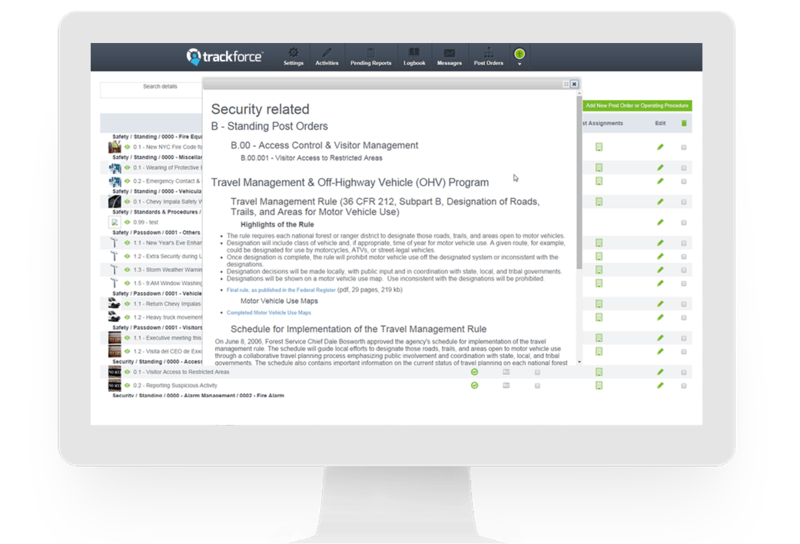 Keep security officers up to date with training and other regulatory requirements. 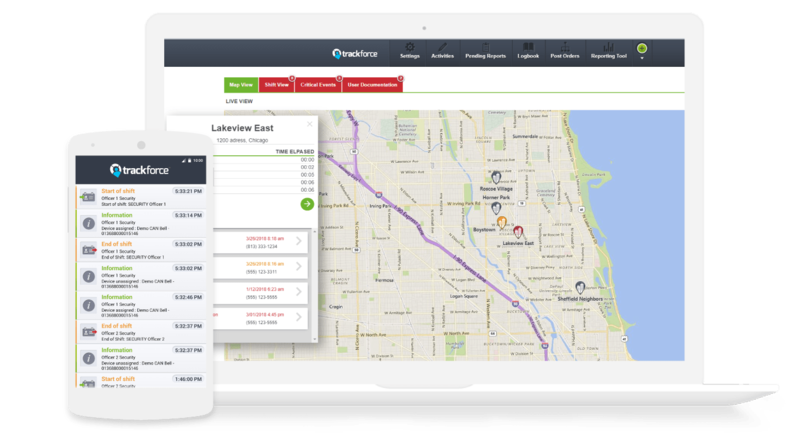 Easily track and locate officers outdoors with GPS and indoors with NFC tags at any time, and dispatch based on proximity and availability for an alarm response or medical emergency.